When you think of the word LEADERSHIP, more than likely, a person or two instantly pop into your head. Everyone has had people in their lives that have motivated and led them. What do these people have in common? What traits do leaders share? 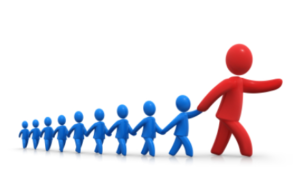 Is being a leader something you’re born with or is it something you learn? In this episode of SEEKER, Dave digs into a topic near and dear to his heart. Not only does he disclose his own life journey, but he also shares the four major keys that every leader must work to possess. Your leadership, he says, is not only important to your organization, but to yourself. Find out why, right here.